Introducing California Kind Genetics, the newest addition to #TeamHSO, this breeder has resided deep in the mountains of the Humboldt region for more than 15 years. The Lemon Garlic OG is one of the most unique phenotypes ever to have come out of the OG lineage. Rapid vegetative growth allows for short transitional periods into flowering. Large thin leaves with ample spacing allows for light to penetrate into secondary sites. Lemon Garlic OG doesn’t need a lot of nutrition to sustain good health. Flowering periods last about 63-68 days as long stacking between intermodal sites results in large elongated colas, highly resinous and with an incredibly pungent aroma dominant to anything else in the space. 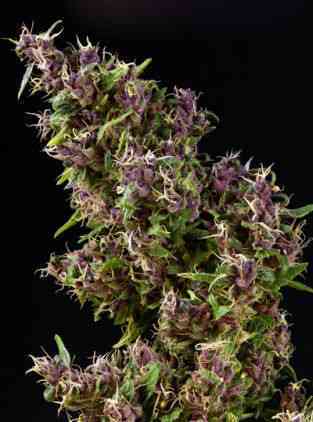 The effects of the Lemon Garlic OG are very cerebral, long lasting and appetite inducing. Hints of garlic, citrus and pine with gassy undertones leave the mouth watering. One of many superior flavors being brought to you by one of the best underground breeders California has to offer.